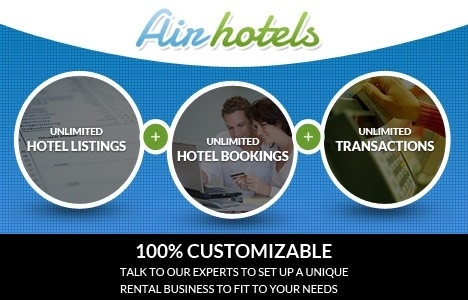 Airhotels's is the most powerful and original vacation rental software developed by Apptha, that enables you to run your own vacation rental website to help people find the best hotel place and vacation place. Now Apptha's Airhotels is available in Magento 2. The script offers like free post sales support for 6 months, responsive theme design and mulitiple payment gateways with like Airbnb, wimdu and 9flats clone model. 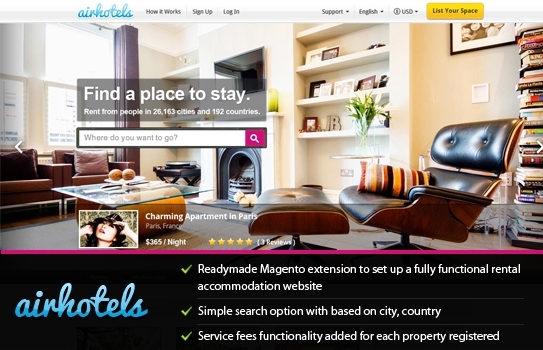 Airbnb is one the most popular script for Magento based vacation rental website. You can easily download and install within minutes. 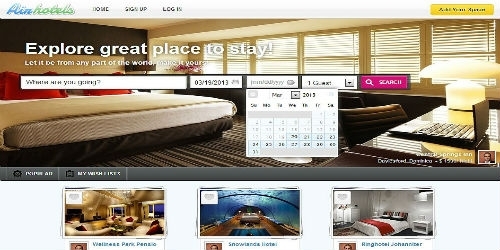 Search more precisely using the smart search options to get the appropriate results. Your site fits well into the tiniest of screen spaces be it a monitor, tablet or a smartphone. Provide multiple payment options for customers to pay easily in their own currency.